Great friends like great books are to be treasured for life! Michelle is one of those great friends who fills my life with joy, much laughter and fun. She is there not only for the fun times but also for the tough times and she has enough love and care to do this with all her family and friends. 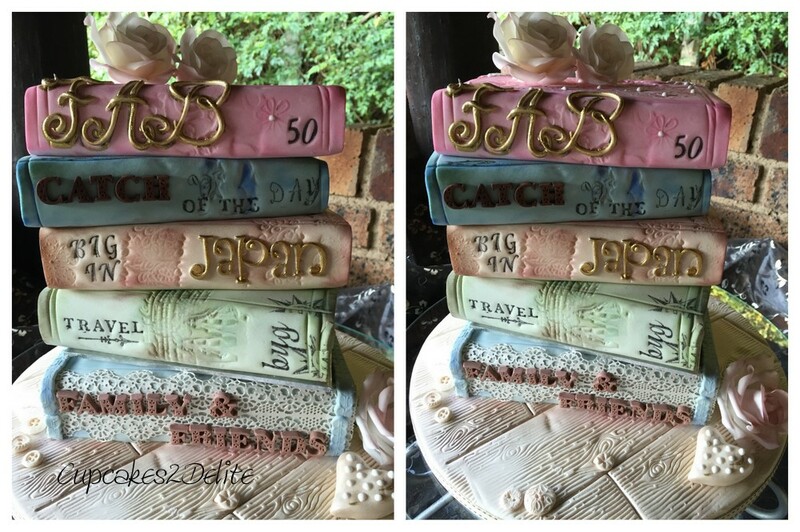 When it came to designing a cake for her Fab 50th Birthday I needed to include Michelle’s family and friends in the theme as they are so special to her. It also had to be soft, feminine and pretty and it had to last through 3 different birthday celebrations. The first occasion was a surprise birthday celebration hosted by Angela for Michelle and all the Wacky Wednesday Scrapbookers. The pastel pink book at the bottom of the pile pictured above was especially for this occasion. I baked a delicious raspberry sponge with a Vanilla bean filling and chocolate ganache and I titled it, Eat, Laugh and Scrap as that pretty much sums us up! True to form we did eat the gorgeous grub prepared by Angela, we laughed loudly and of course took loads of photos to scrapbook. 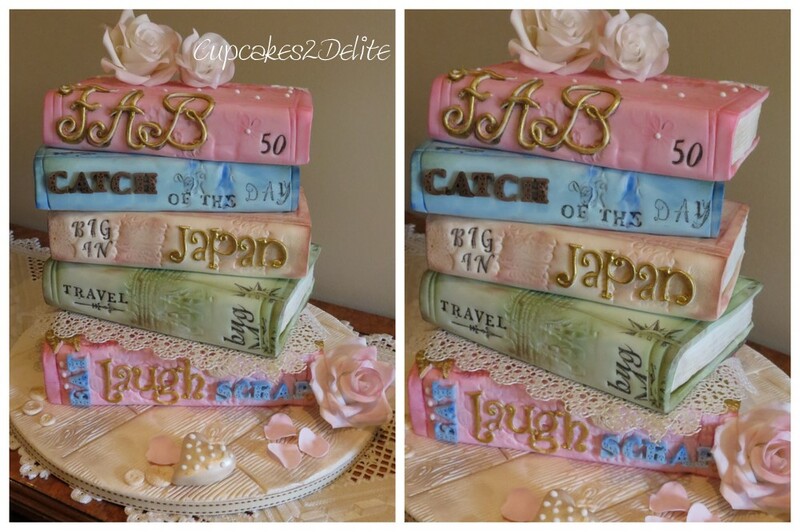 Michelle then celebrated with her family and friends on a balmy Saturday evening and I used the top 4 books again for her cake for this occasion. I had made these books as false cakes for this reason and the first book on the board I made a delicious strawberry sponge with a Candy Cane flavoured filling. I covered this book in Michelle’s favourite duck egg blue and titled it, Family & Friends. 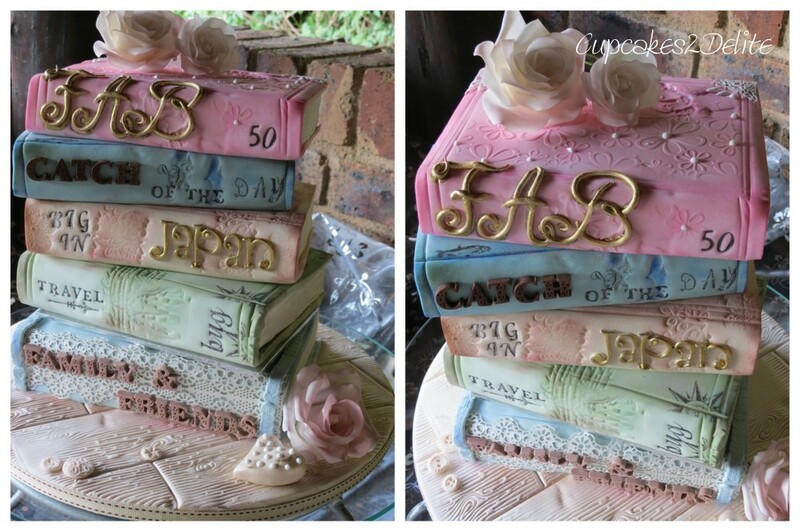 The pink floral embossed book at the top of the pile had to be for Michelle and this I titled Fab 50 for her because she is just fabulous in every way. My son came up with the ‘catchy’ title for Marco’s book. Marco was Michelle’s Catch of the Day the day she fell in love with him and chose him as her lifelong husband, friend and partner. Marco has also been spotted in one of his favourite spots fishing quietly and contemplating life. Shayna, Michelle’s daughter, wasn’t able to be at the party as she has gone Big in Japan & settled into her wonderful adventure and life in Japan. Michelle had a wonderful trip to visit Shayna a few months ago and they shared so many treasured moments seeing the beautiful blossoms and flowers of the Japanese spring. Brandon, Michelle’s son, has definitely caught the Travel Bug so his book was aptly named. I added embossed ships and compasses to this book. 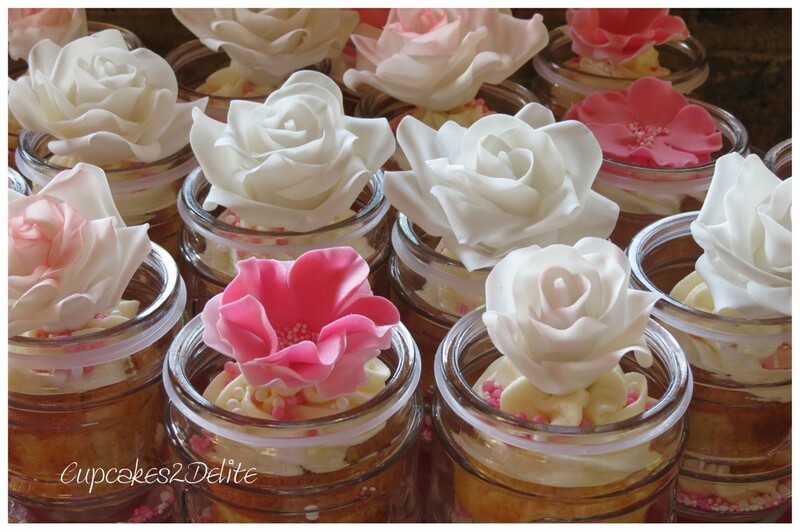 The sugar paste roses, heart and buttons complete the feminine look for Michelle’s cake. The final celebration of the wonderful trio of parties was a high tea Michelle hosted for her girl friends and again we celebrated with delicious food and cake. 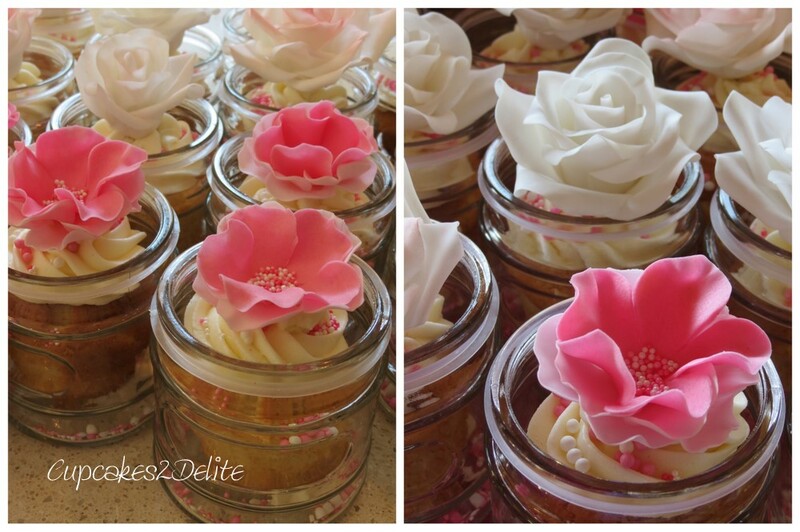 In addition to the cake I made vanilla bean cupcakes in a jar with pretty sugar paste roses and flowers and these were gifts for her friends. The soft pretty flowers were a perfect ending to a wonderful day for an amazing and truly special friend! What an amazing couple of weeks I had celebrating my big number birthday with friends and family. 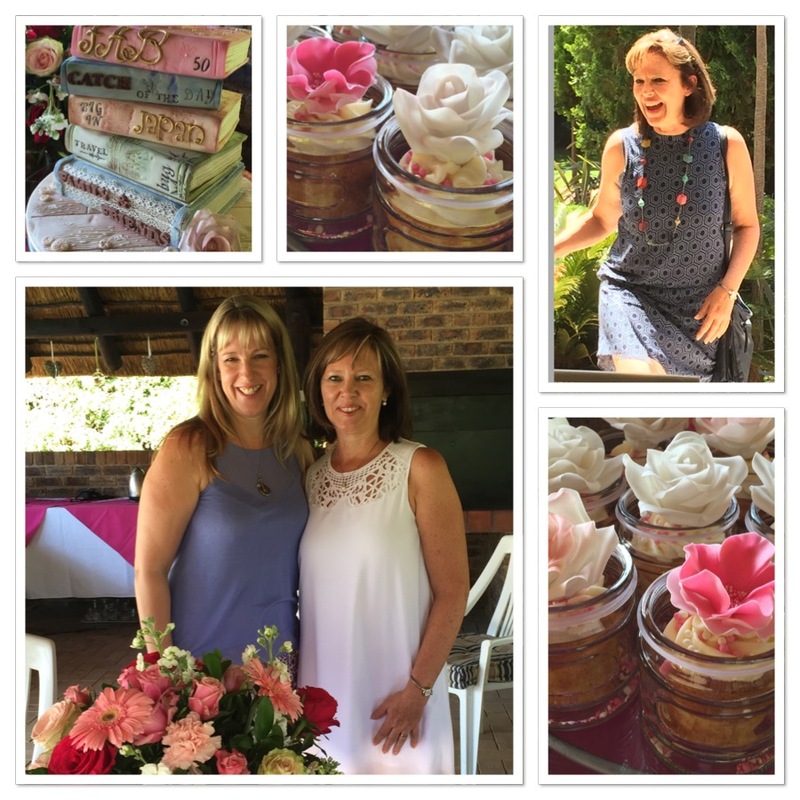 It was all very special, from the wonderful surprise party with scrap booking friends to a dinner party and high tea. 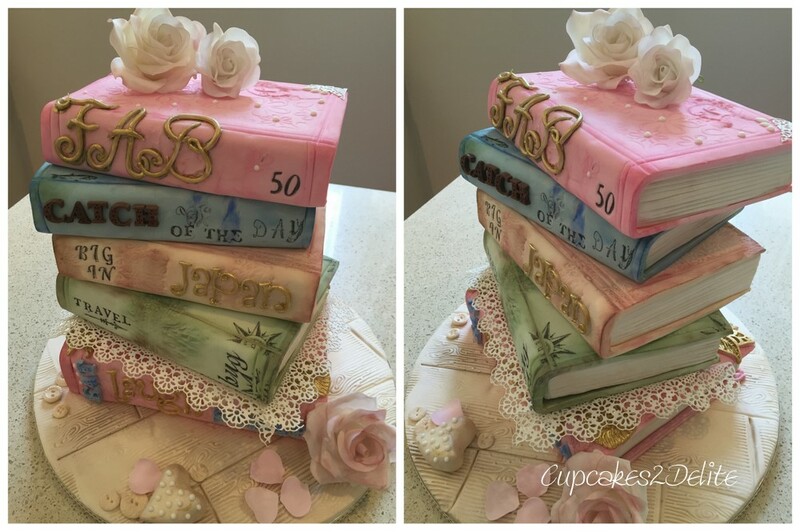 Lisa, thank you for contributing to each occasion with amongst other things, the most beautiful book cake (a true work of art) and for the gorgeous cupcakes in jars which made my dessert table spectacular! Yes, Lisa is a special friend and she spoils me and my family with her beautiful and delicious creations. It has to be said though that I have seen Lisa give as much thought, passion and care to all of her customers, always making sure that she delivers beyond their expectations and that is what makes every ‘order’ a gift of love and art. Thank you so much Michelle for such thoughtful words..I loved your birthday celebration and look forward to many other special ones with you and your family!